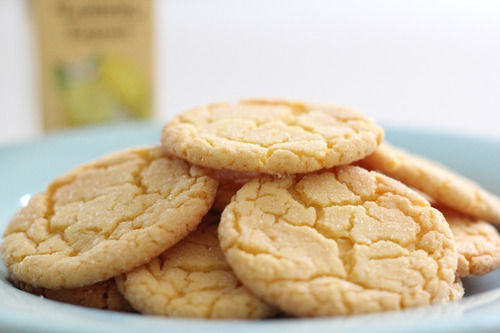 These cookies are soooo easy and soooo good! I found this recipe at Cooks.com. You can find many variations of this recipe online. These cookies ‘taste’ of summer! They are sweet, yet refreshing and oh so chewy! You won’t be able to eat just one! Preheat oven to 375 degrees and spray cookie sheet with pam. Shape dough into 1 in balls and roll in granulated sugar. If you want to get super fancy zest 1 lemon and mix with the sugar letting the lemon oil from the zest infuse into the sugar before rolling the dough in it. Place on cookie sheet and bake for 6-8 minutes. Let cool for 1-2 minutes on baking sheet and then transfer to cooling racks. Store in ziploc bags or airtight containers.